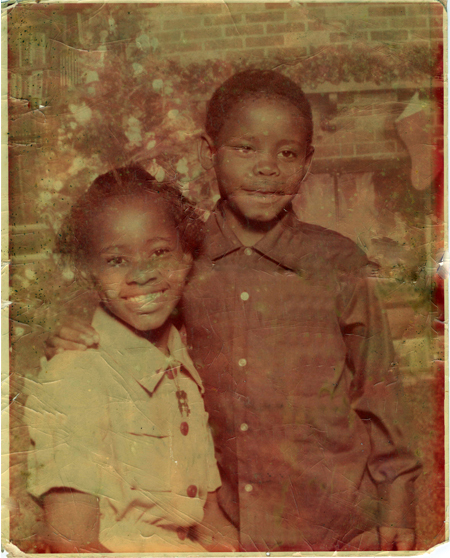 Albert Wilson was born March 7, 1966 and raised in Jackson, Mississippi’s Georgetown Neighborhood. 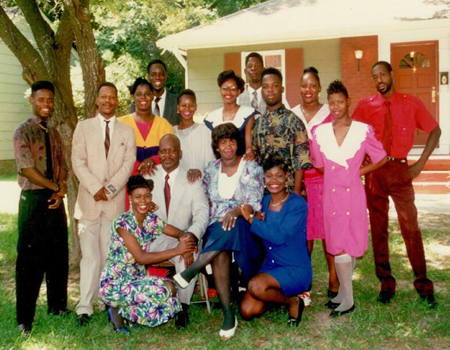 Albert was born 8th of 16 children to Mr. Howard and Mildred Wilson. His parents who grew up in the late 40s, stressed the one thing they were denied “an education.” He attributes his foundation of faith, family values, and zeal to serve others to his parents. 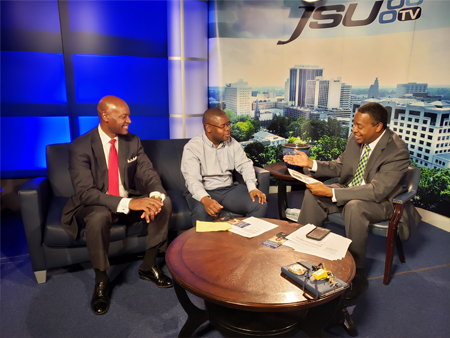 Albert grew up in a poverty-stricken community in Jackson, his youth was difficult, as he saw firsthand how negative influences could lead to negative outcomes. Determined to overcome such obstacles, Wilson promised himself that he would lead a life of positivity, philanthropy, and help others in similar situations. Albert has been part of the effort to reclaim and rebuild Mississippi communities in order to give our youths a sense of hope and security, and an ability to dream. Albert has given voice to the voiceless, help to the helpless, defense to needy, and encouragement to the discouraged. Albert is very active in communities of Mississippi and he continuously gives back to our State. He also serves as a motivational speaker and mentor at churches, local schools, and a positive role model to inner-city youth. Albert dedicates much of his time and expertise in assisting economically disadvantaged communities, families, senior citizens, veterans and military family members. A graduate of Jackson State University in 1989 with a Bachelor’s Degree in Computer Science. Albert professional attributes include more than 25 years of experience in the fields of business, technology, social service and community development. Before choosing to follow his passion of becoming full-time executive director of Genesis and Light Center, Albert worked in the corporate world as a computer professional for companies including MCI WorldCom and Fermi Laboratories, Batavia, Illinois as well as a geometry teacher in the Jackson Public School District. Albert turned down lucrative jobs in the corporate world to return to Mississippi to lead a successful gasoline boycott called “the Million Mississippian March”, Crime Prevention rallies, Opioid Awareness Seminars, Campaigns Against Literacy, Healthy Snack Initiatives, Senior Citizen Socials, and Voter registration drives, and many other movements to improve the lives, liberties, and living condition of Mississippians. 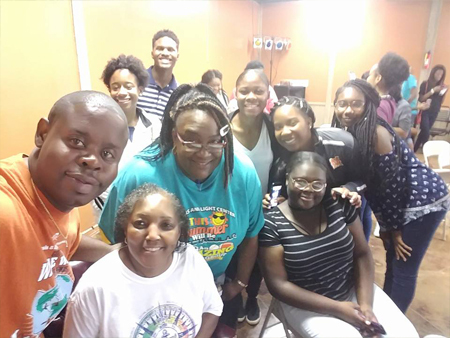 Wilson’s time in Illinois gave him the experience necessary to chase his passion of helping others, and he launched his nonprofit organization, Genesis and Light Center. His organization continues to provide economically disadvantaged families, senior citizens and veterans with supportive services and workforce skills, respectively, along with educating the community on relevant issues such as the opioid epidemic, crime prevention, healthy futures, career and economic development. Furthermore, thousands of low-income children benefit from the afterschool programs and summer programs that encourage healthier living and provide much needed structure. 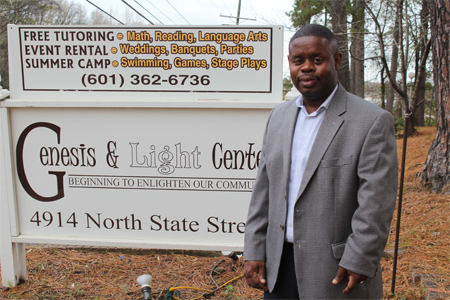 Under Albert’s leadership for more than 25 years, the Genesis and Light Center has offered services in Illinois and Mississippi cities of Jackson, Natchez, Hazlehurst, Yazoo City, Tunica, Forest, Canton, Greenville, Durant and Utica. Afterschool services have impacted over 30,000 disadvantaged youth and summer programs reached over 10,000 disadvantaged youth. The organization also produces stage plays, putting on eight productions with over 50 performances by over 160 drama club members. Quality of life has improved for over 600 senior citizens. Mississippians also support the business by renting the facility for special events, and the center has organized more than 50 empowerment seminars, community fairs and other ceremonies. The Genesis and Light Center has employed over 250 individuals, offered volunteer work to over 3,000 people and has helped 50 individuals find employment – evidence of Wilson’s experience leading Mississippians to new economic and educational opportunities. Albert’s personal commitment to break the cycle of poverty, violence, and helplessness, marks every aspect of his work. Through his non-profit center, Albert has developed self-help programs that focus on strengthening students, families, and the community emotionally, financially, physically, intellectually and spiritually. His projects promote education, values, positive attitudes and high levels of self-esteem, and encourages participants to avoid alcohol, drugs, crime, and other at-risk behaviors. In addition to creating services that are normally non-accessible, unaffordable, or simply don’t exist, Albert has also devoted countless hours linking individuals to agencies they need. Today, Wilson is happily married to Kim Wilson and they have three children, Bryson, Victoria, and Brittney. Wilson continues to lead the Genesis and Light Center while employing eight full time staff members and coordinating multitudes of others. Wilson has successfully managed fundraising event, written grant proposals, created budgets, and built partnerships which has enabled his center to continue providing positive influences in the community. As candidate for governor, Wilson plans to use his experience in business and technology, as well as leadership to connect with Mississippians of all ages and backgrounds. As a young man who struggled through his youth, Wilson understands the challenges of Mississippians and wants to give back by working to improve access to opportunity for all, strengthening the workforce, and rebuilding Mississippi’s infrastructure.